Baby mobile toys are often hung over the baby’s crib. In other words, parents often hang a mobile from the ceiling. Parents do this as it can help the baby in different ways. First of all, it can help to develop their vision. Also, it tends to provide a calming and soothing effect on the babies. Thus, these mobile-toys can keep them visually engaged and quiet for hours. It is an excellent addition to the crib. Being a parent is not an easy job, mainly to make your baby fall asleep. But these mobiles can be quite helpful for your babies to fall asleep fast too. 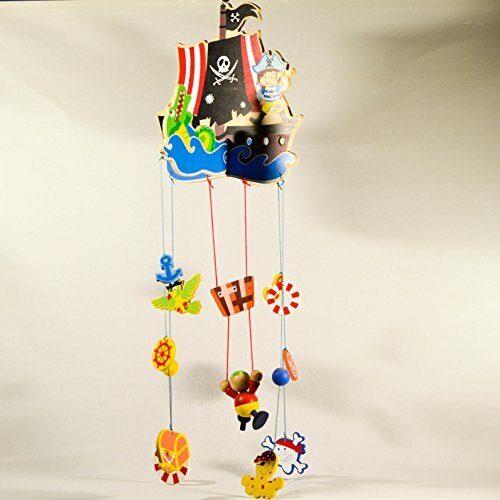 These mobiles come in different sizes and styles. Here's the link for Top Rated Baby Mobile Reviews for your ease. If you have got one, then you must know how to hang a mobile from the ceiling. How High To Hang Above The Crib? Placement of the mobile above the crib is crucial. It has to be at the right height so that your baby can see it but unable to reach there. According to a trusted source, the American Academy of Pediatrics, the mobile should not have strings longer than 7 inches. Otherwise, it can have the potential to strangle your baby. Generally, a newborn baby has an ideal sight range from 8 inches to 12 inches. Babies face trouble focusing on any objects beyond that. Thus, it is better to hang the toy just 16 inches above the mattress of the crib. In case it needs a bit of adjustment, be it lower or higher, you can do that based on your needs. How To Hang a Baby Mobile over a crib? Before you start drilling and installing, you have to plan the placement of the mobile properly. For this, you will need a measuring tape that can help you to measure the height. Make sure to measure 16 inches with your measuring tape from the mattress of the crib. Then mark the area with a pencil so that it gets easier for you to drill. Now, measure the mobile by holding it at the same height as the mark. If the height is perfect, then it is time for the next step. It is ideal to hang a mobile from the ceiling. So, with the help of your 5/16 inches drill bit, make a hole in the ceiling. Be careful and drill a small hole. Now, you have to insert a drywall anchor into that hole. To secure it, tap the anchor with a hammer. Do not tap very hard. But tap until the anchor gets wholly flushed with the ceiling. After that, you have to insert the screw into a screw hook. Once this step is done, you have to start hanging the mobile now. Often the baby mobile comes un-assembled. You have to assemble every part of the mobile toy. These toys come with the instructions from the manufacturer on how to join them. You have to read them very carefully and follow every step to complete the assembling. Once you have assembled it, look for the string. The string is always provided with the mobile toy. But that string may not be long enough to be hung from the ceiling to the determined height. For that, you will need an extra string. Now, measure the gap between the screw hook and the string of the toy from its determined position. Then, measure the same along that extra string and cut it with the scissors. Take an additional hook and attach both the strings together. Now, this is the last and final step where you have to hang the mobile. Hang that extra string from the hook at the ceiling and attach the mobile’s string with it. If you want the baby mobile to be higher, cut the extra length of the rope hanging from the ceiling. If you're going to lower it, then you have to choose a bigger string to hang it. Finally, after all the adjustments are done, the mobile is ready to be attached. Now your baby can enjoy it and relax. Firstly, you need to perform a regular hardware check to make sure that it is secure and fastened properly. While hanging, make sure that your precious little one cannot reach it. Avoid the mobile toys that come with little chokers as these can be quite dangerous if it ever falls on the crib. Avoid the mobiles with flimsy hardware and loose parts as this increases the chance of breaking off. So, these are some of the essential tips along with the above step-by-step instructions that you must follow to hang the baby mobile over the crib. This doesn’t require any expertise as it is a simple DIY project. You just need to ensure that everything is done correctly and the mobile is safely hung and would never fall off. 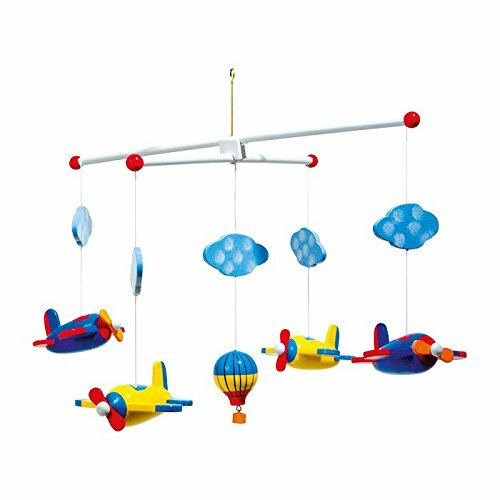 Since these mobiles can be quite fascinating for your baby, it is a must have over the crib. While you are busy in your kitchen for hours or doing some office works, you want your baby to be distracted. This mobile can be the ideal one for that. Babies tend to get mesmerized and busy with the mobile. It also soothes their senses and helps them to have fun and relax at the same time. Thus, you need to hang a mobile for your baby today over their crib. How baby mobiles play an essential role for baby brain development.